Ways Medical Facilities Can Reduce Water Consumption | Waterless Co Inc.
· Heating and cooling: One of the most significant steps medical facilities can take to save water is to modify their refrigeration systems so that the water used for cooling is “close looped” and recirculated; many systems use a “once through” water cooling system where the water is drained after use. When incorporated in one U.S. hospital, the recirculation system reduced water consumption by about three million gallons per year and the facility saved more than $20,000 in annual water and sewer costs. Initial cost of this project: $29,000, providing a return on the investment in less than 18 months. · X-ray equipment: Automatic valves should be installed on x-ray equipment so that water flow to the machines is stopped when the equipment is not in use. One hospital was able to reduce water consumption by 17,600 gallons annually with automatic valves installed, which cost about $1,400 to install on all machines. Payback: about 2 months. · Retrofit toilet flush valves: Toilets do not necessarily need to be replaced in order to save water. Low flush valves reducing water consumption to 1.6 gallons per flush can be easily installed to reduce consumption; it is even possible to turn a conventional one-flush toilet into a dual-flush system. One hospital saved more than five million gallons of water with these valves at a cost of $65,000. Annual savings are estimated at $45,000 with an estimated payback in 18 months. · Waterless urinals: Instead of installing water-reducing urinals, some medical facilities have installed no-flush urinal systems, which use no water at all. One small Northern California clinic calculated that by removing 14 conventional urinals, which use on average three gallons of water per flush, and replacing them with waterless systems, the savings totaled more than 280,000 gallons of water annually. Based on water charges at that time, the hospital estimated they were saving more than $2,100 annually. · Laundry systems: Some hospitals are installing rinse water reuse systems. Installed in one hospital, the system saved nearly two million gallons of water annually. According to at least one manufacturer of these systems, the average reuse water usage in healthcare-related facilities is about 25 percent. Many medical and other facilities find that one of the best ways to reduce their water consumption is to simply impress upon staff that it must be done, including the reasons why. Administrators should encourage staff to evaluate their daily routines, everything from patient showering to hand washing, looking for ways to reduce water consumption. A related option that has been successful is to initiate an employee awareness water conservation program, awarding prizes and recognition for water-reducing measures adopted by the medical facility. Input and ideas from staff, those directly using the hospitals’ water every day, can be some of the most significant, and from these suggestions, a water efficiency plan can be developed, sharing these water-wise conservation measures with everyone. 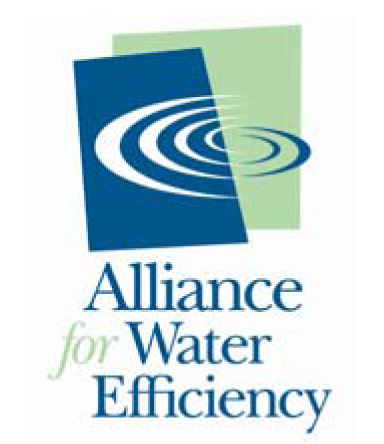 For more information on ways to reduce water consumption and use water more efficiently, send us an e-mail.